Don’t Give Up – Hard work, dedication and concentration will help you to get success in the all India level Medical Entrance Exam NEET PG 2018. Being a dropper or skipping a year for NEET PG does not matter at all; you have to study wisely and put 100% hard work this time to score good marks in NEET PG 2018. Time management is a main factor for cracking any competitive exams. Create a timetable and a timeline for preparation and revision and work towards its strict execution right from day one. National Board of Education (NBE) has announced the entrance exam NEET PG Exam is on January 7, 2018 for admission to various MD/MS, and PG Diploma Courses. Therefore you may plan for your success as follows: You have to complete your syllabus by November-December, and give time for practice tests and solving question papers. By the next 5 months or so, you have to be done with your portion at least once, without skipping pages of your notes. Also, you have to solve practice tests and test series questions as and when you complete the respective chapter. In the next two months, when the fresher’s will be busy studying for boards, you might as well want to solve as much as possible in those months. Get past years question papers and additional question papers from question bank and try to solve all the questions with effective approach methods. Teach easy tips and tricks to solve questions easily and faster. While attempting mock tests stick to the time limit and complete the question paper within time frame. If u feel particular subject is more difficult, then give it extra time during the test and work on that area later. Regularly challenging yourself and identifying your shortcomings is the best study strategy to crack NEET PG 2018 entrance exam with good score. At this stage don’t pick additional reference books for your preparation. Because referring too many reference books make you more confusing and complicate your approach technique. Just follow the reference books what you used on previously. Using shortcuts in exam is mandatory, as there will be time limit to mess around with derivation and stuff. Get good grip over your concepts, and keep the momentum steady, as you don’t usually get second chances in life! Lastly, don’t overburden yourself. You are going to cherish the recent years of your struggle later on. 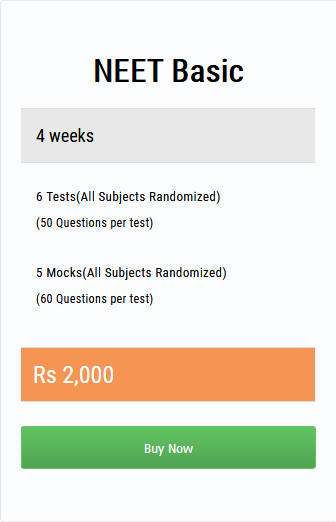 How Do I Study Microbiology For NEET PG 2018?